Lock in a great price for Jolyon's Boutique Hotel – rated 9.4 by recent guests! We wanted a room near the water and I don't think we could have found a nicer place. If you're looking for more central to the city it might not be as perfect. The balcony with room 6 was wonderful. The area got a bit noisy in the morning, but I think that goes with the area and not a fault of the hotel. Very comfortable and up to date. Location was perfect. Almost in the Eisteddfod. Loved it. Breakfast was very good and much earlier than any nearby restaurant. Great location, the owners were very friendly, super cute boutique feel. The hotel was nice and quirky, rooms were nice, clean and spacious, well appointed. Breakfast was great with plenty of options. The location was superb with plenty of bars, restaurants and attractions within walking distance. Definitely be back. Loved Jolyon, the proprietor. He is a trove of joy and Cardiff secrets and we also loved the house. Location is a block from the water and just perfect! Jolyon was most gracious. There had been an error in the booking, and he came back into town especially to make sure that we had a place for the night. He comped us with a lovely traditional Welsh breakfast the next morning. Jonathon and his staff were so gracious and kind to both of us. This was the highlight of our time spent in Cardiff. We so appreciate the extra kindnesses..
Jolyon and his staff were friendly, helpful and knowledgeable. Their advice and assistance made the visit memorable in all the right ways. 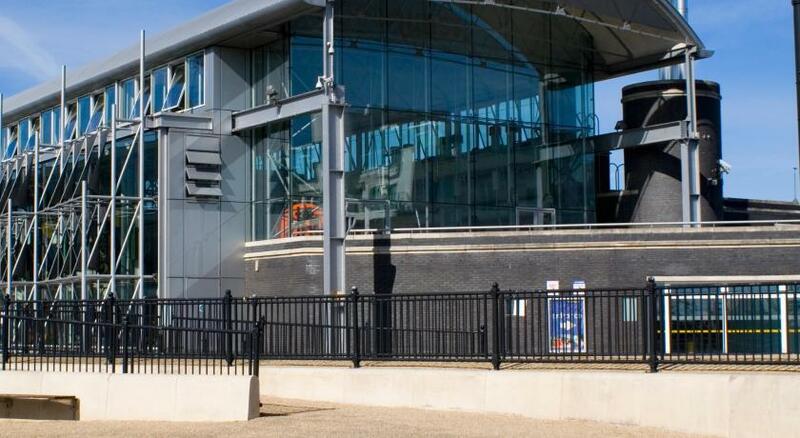 The location is ideal for not only enjoying the docks and area, but for strolling to town. Jolyon's Boutique Hotel This rating is a reflection of how the property compares to the industry standard when it comes to price, facilities and services available. It's based on a self-evaluation by the property. Use this rating to help choose your stay! Jolyon’s is the ideal hotel for business or tourism thanks to its location, prices and comfort. A warm welcome awaits you at this unique hideaway, situated in the heart of Cardiff's famous docklands area. 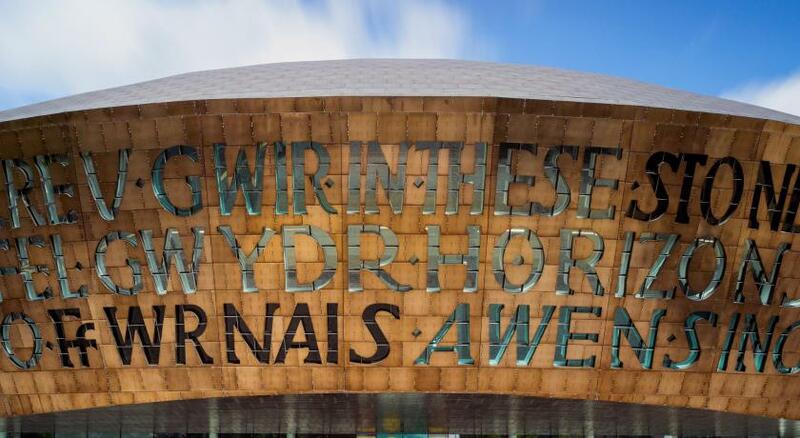 With a prime location by the Millennium Centre, the luxury accommodations at Jolyon's Hotel have become an integral part of this vibrant up and coming area. For the comfort of guests, Jolyon's is a non-smoking hotel. Enjoy a glass of fine wine or one of the many specialty beers as you sink into a leather couch. "One of the five best UK Town House Hotels...Jolyons set to Blossom" - The Independent. When would you like to stay at Jolyon's Boutique Hotel? This compact room has a Moroccan theme. Public parking is available at a location nearby (reservation is not possible) and costs GBP 10 per day. Located at the top of the hotel’s first flight of stairs, this quirky room can be used as a double or a twin room. 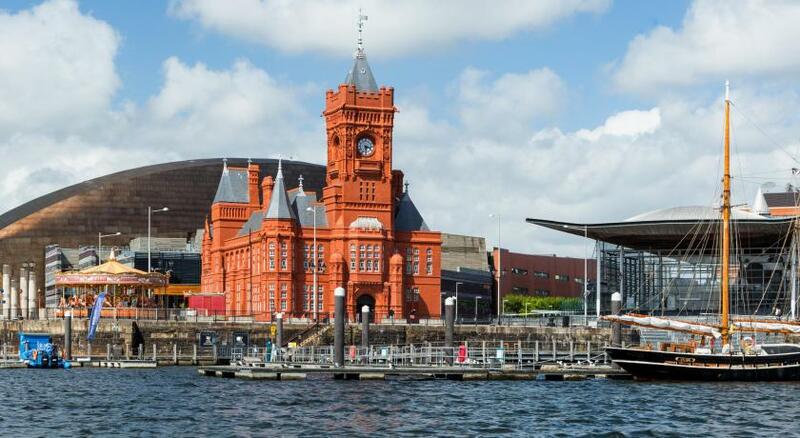 Located on the first floor overlooking Cardiff Bay’s bustling Oval Basin, this room provides views of the capital’s iconic Millennium Center and The Welsh Assembly. This room has a dark wood four-poster bed, crimson tapestry and velvet furnishings. 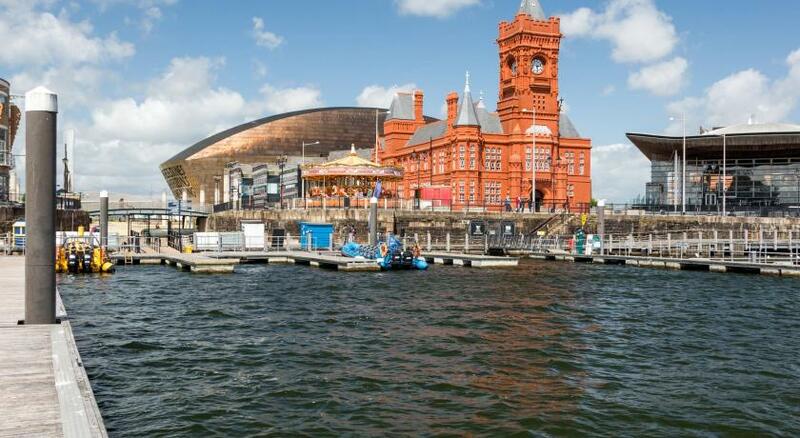 Offering brilliant views across Cardiff Bay’s bustling Oval Basin, which houses the iconic Wales Millennium Center and Welsh Assembly buildings. Sitting elegantly at the top of the hotel, this room features its own veranda. This room with attached bathroom is located on the ground floor. House Rules Jolyon's Boutique Hotel takes special requests – add in the next step! Jolyon&#39;s Boutique Hotel accepts these cards and reserves the right to temporarily hold an amount prior to arrival. Jolyon's Boutique Hotel accepts these cards and reserves the right to temporarily hold an amount prior to arrival. Please note that the ideal check-in time is 2:30pm to 3:30pm. If you plan to arrive at a different time, please contact the hotel by telephone so that they can arrange for someone to greet you. Very warm in the room and check in time was quite restrictive. Location was excellent and room was lovely. Quirky decor, which was what attracted me in the first instance and didn’t disappoint. Lovely helpful host. Great location for the bay and restaurants. Would definitely stay again. Lovely room with great views. Fantastic location. Comfortable bed and quiet at night considering central location. Shower was a little awkward to use, but fine overall. The property was the cleanest hotel I’ve ever stayed in. Everything was done perfectly and there was plenty of personal touches to your room that made you feel even more welcome. We had a great greeting from the hotel owner when we arrived to check in. Couldn’t fault a single thing with this hotel. It was Avery nice touch that we had retro sweets in our room, hot chocolate, coffee and tea. This hotel is basically a B&B. It is not boutique style. It is far over priced - if I wanted to stay in a B&B I would have booked one, however I expected a more luxury style accommodation and did not get it. Breakfast was very average. No imagination. Basic produce. There was building work outside which woke us up early but this was not the hotel’s fault. Really unique wonderful place, great location in the heart of Cardiff bay. Had a very relaxing stay. Not staffed 24/7 but they can be reached by phone anytime. Very friendly lady that works there, we only saw her in the morning but she did call in the afternoon to let me know that my room was ready. How personal it felt. makes a change from the big chains where your just another number. we were made to feel at home and welcome. already booked our next visit. Beautiful room, nice bathroom, great location, fantastic host! Everything! Perfect location (the millenium centre is a stones throw away) Beautiful spotless room, comfy bed, lovely bathroom, extremely good value for money and a friendly helpful host. Could not have asked for anything more. The fine details to make it unique. The very friendly welcome. Will definitely go back. Highly recommended!